It has become increasingly clear that if we are to understand the social, political and intellectual context within which the gardens were developed we need to understand the Cope family dynamics, particularly, given the importance of family connections, who was married to who and what were their interests and influences. 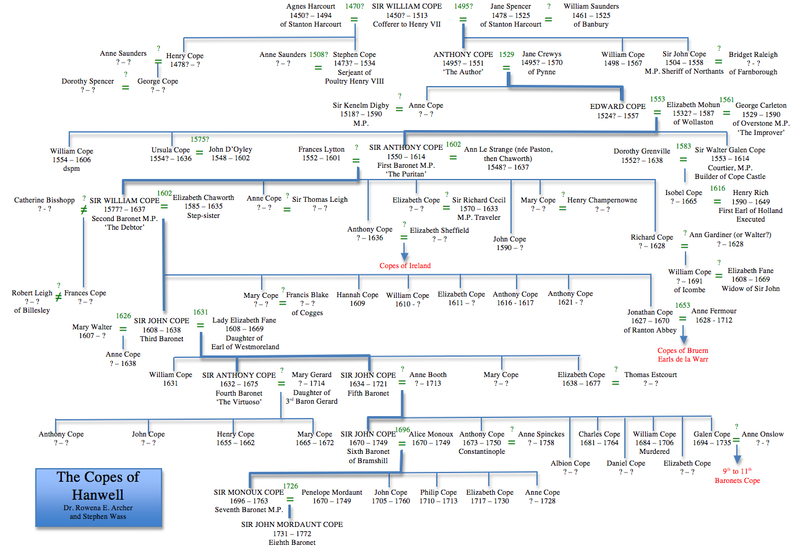 This family tree is based on work done by Rowena Archer with the assistance of surviving members of the Irish branch of the family. Additions have been made using information drawn from the Geni genealogical web-site and the on-line history of Parliament. There are still many gaps and any help, advice or comments would be welcome.